New GOLD TRAIN Book Trailer – new dramatic score! 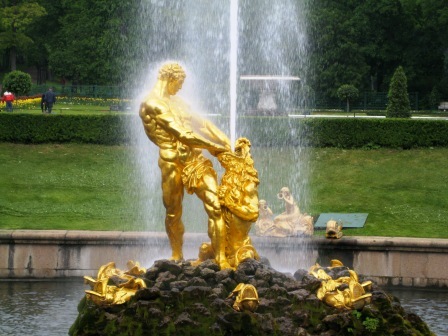 Year 1703. 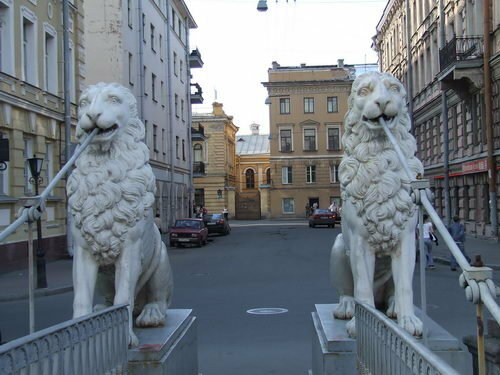 During the Northern War with Sweden, Peter the Great stands on the wind-swept bank of the Neva River, amid mosquito infested swamps and desolate landscape of the north, and declares that he’ll build a city of unrivaled splendor, to become Russia’s first sea port and maritime window to Europe. 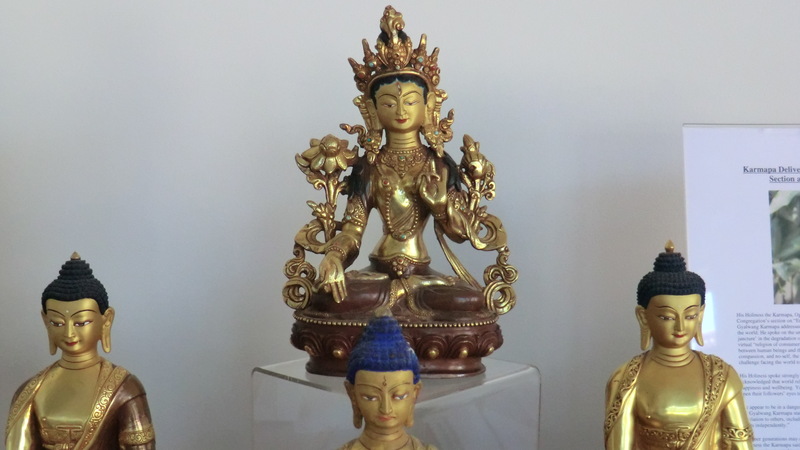 Years later, his vision became a reality – and then some! 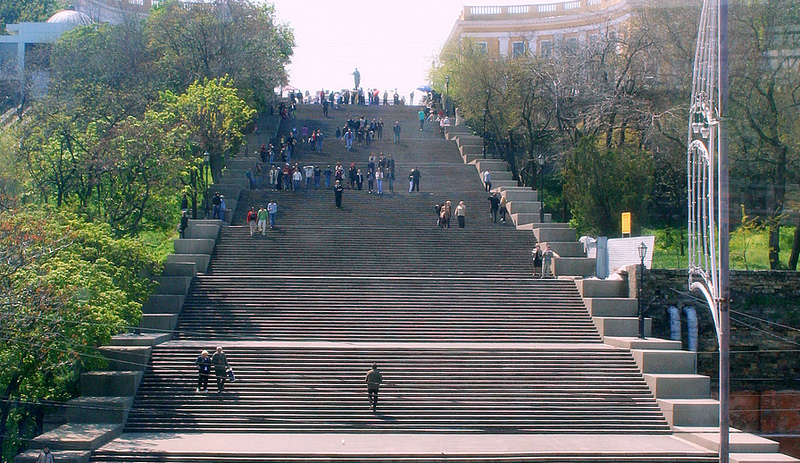 Above: Medniy Vsadnik (Bronze Horseman). Monument to Peter, the city’s founder. 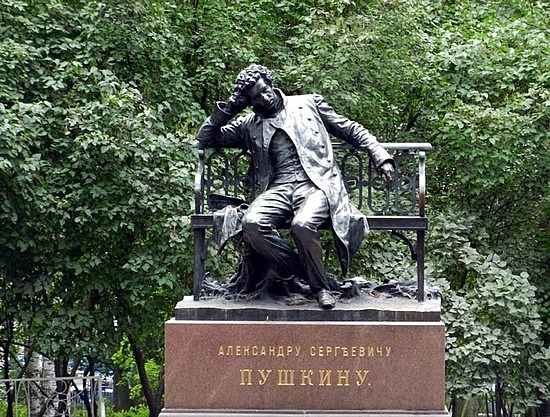 The inscription reads: To Peter – the First, from Catherine – the Second. 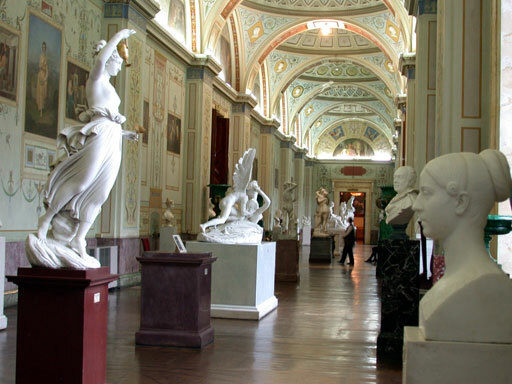 Presenting St. Petersburg, Russia‘s second capital, unique cultural phenomenon, UNESCO World Heritage site and the most beautiful city on planet Earth! 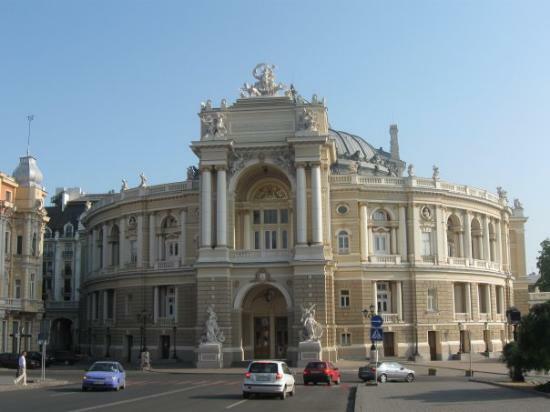 The entire center of “Peter,” as it’s affectionately called by the Russians, or St. Pete, as it’s called by the expats, is the UNESCO World Heritage Site. The unbelievable beauty of its many exquisite buildings, bridges, palaces and statues can awe even the most seasoned world traveler. Despite its harsh northern climate, it can be incredibly romantic and it always is unforgettable. 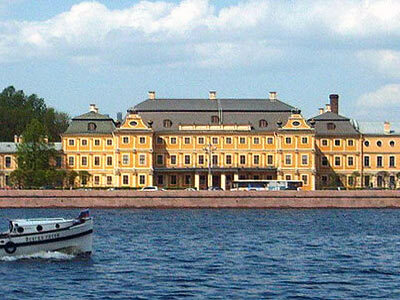 Some of the most important episodes in GOLD TRAIN take place in St. Petersburg. 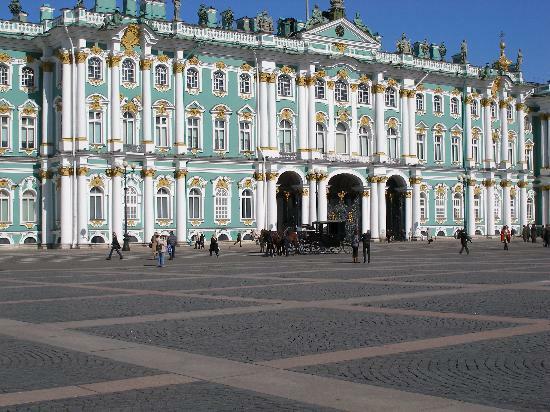 The GOLD TRAIN heroine, international journalist Jade Snow, stays at the Duchess Vera’s house in the very heart of the historic center, not far from Nevsky Prospekt and the Hermitage. 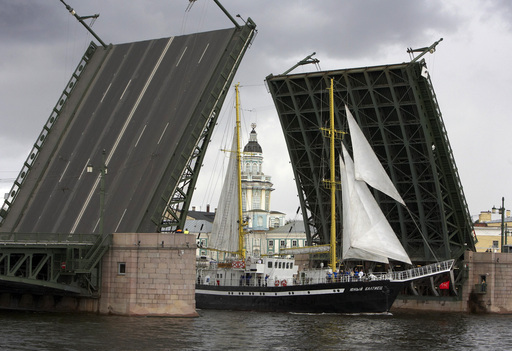 Above: Romantic couple by the Anichkov Bridge. 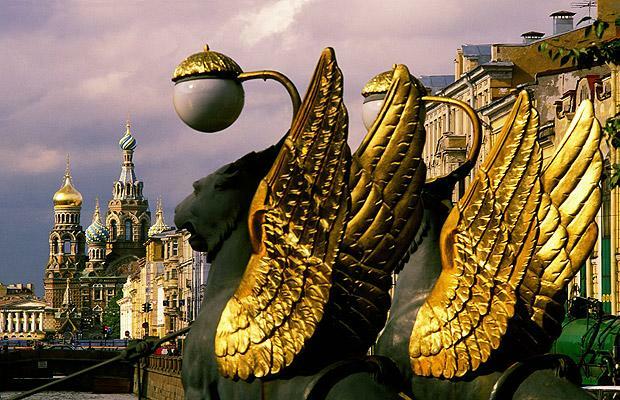 One of Nevsky Prospekt‘s most popular sights, Anichkov Bridge across the Fontanka River is particularly famous for the four equestrian statues, “The Horse Tamers,” which stand at each corner of the bridge. 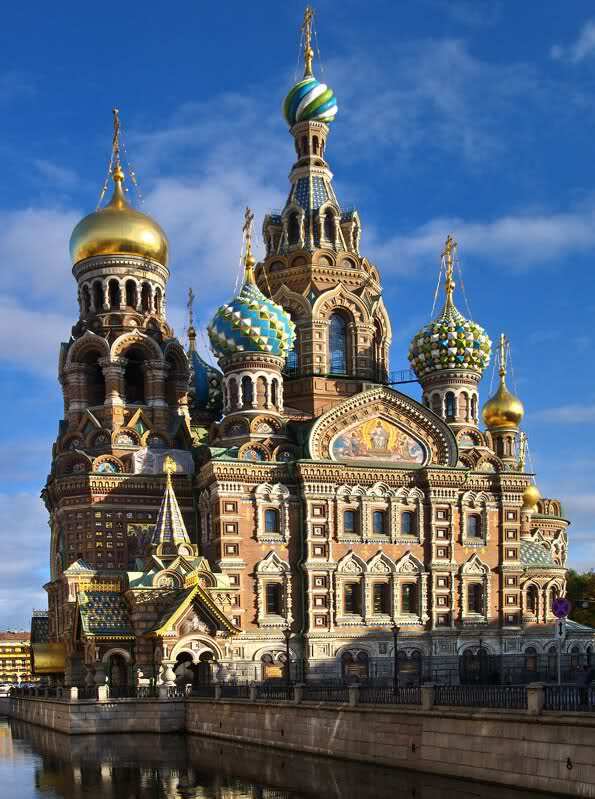 Try visiting St. Petersburg in the summer, during The White Nights, a unique phenomenon occurring when the Northern Lights illuminate the sky, making a night almost as bright as day. The mood during the White Nights in indescribable! No one in this city of 5 million sleeps and scores of people wander the streets, marveling at its monuments and watching the drawing of its amazing system of draw bridges. 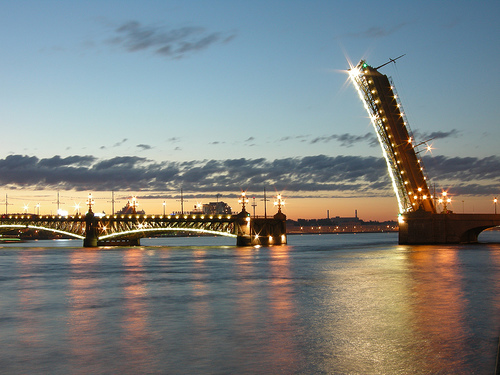 Above: St. Pete’s bridges being drawn during the White Nights. Notice, how bright the skies are even after midnight! 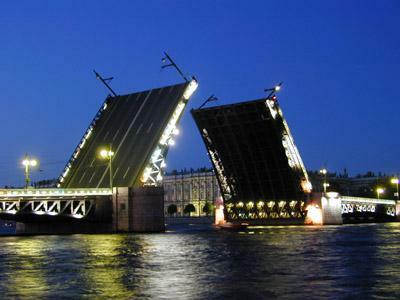 All St. Pete’s bridges are incredibly beautiful and unique. 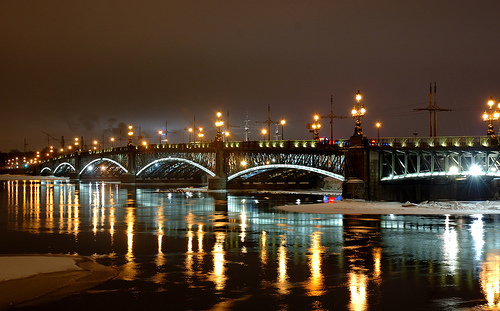 Above: Probably the most famous of its pedestrian bridges, Bankovsky Bridge – Bank Bridge, which is just a few meters down the Griboedov Canal from Kazan Cathedral, owes its reputation to its four beautiful golden-winged griffons. 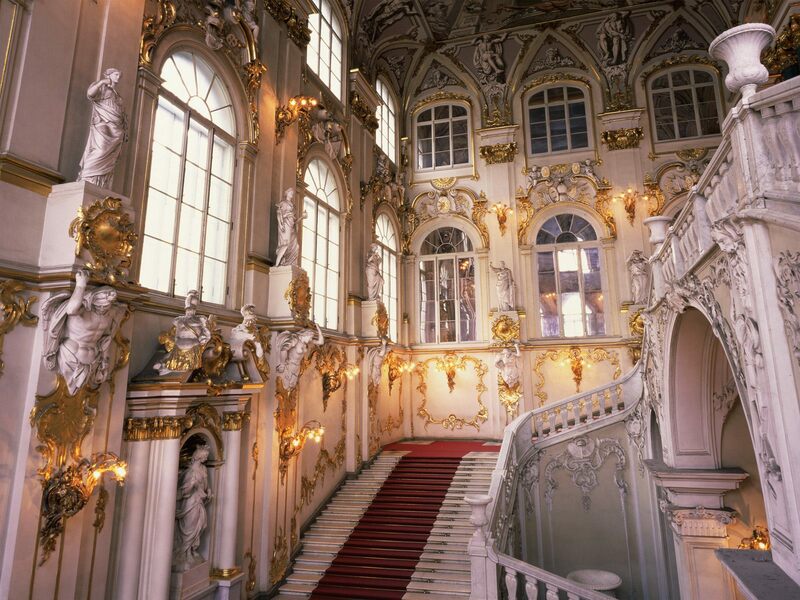 Below: Winter Palace, former residence of the Russian Tsars, the most magnificent palace in the world. 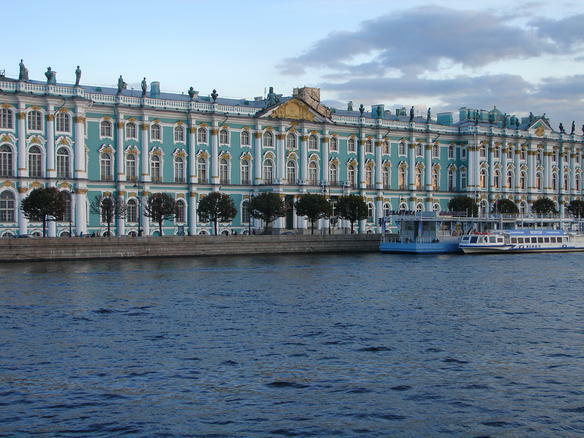 Now, the Hermitage Museum. 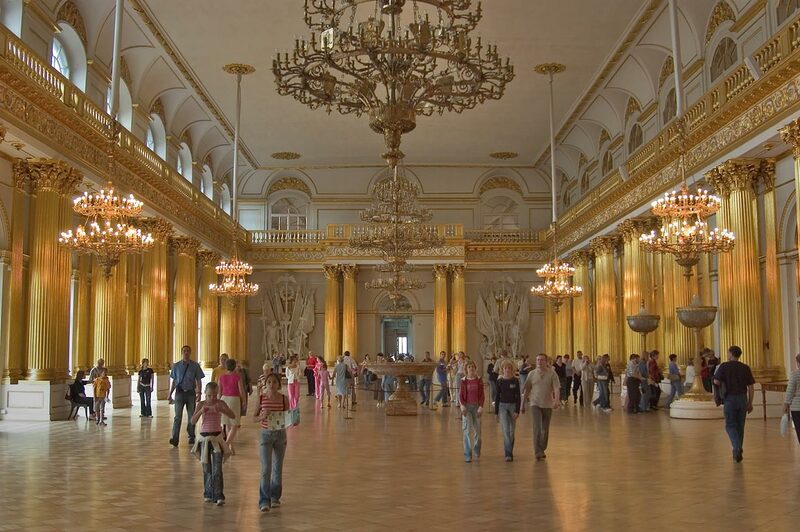 Below: The Winter Palace Ballroom. 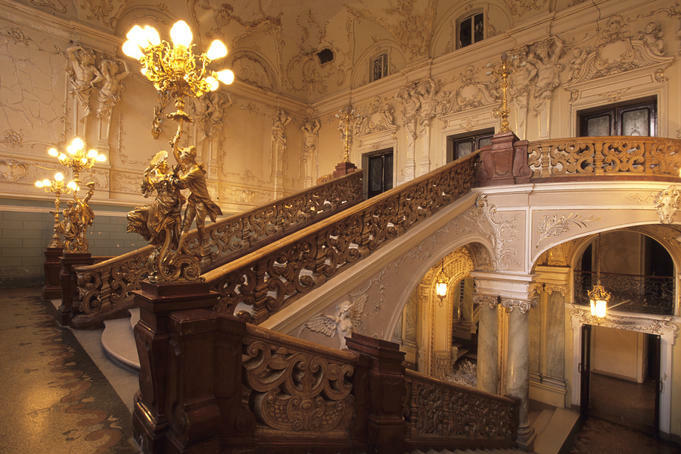 When I wrote the Menshikov Mansion ballroom scene in GOLD TRAIN, I imagined something like this! Well, minus tourists in jeans. 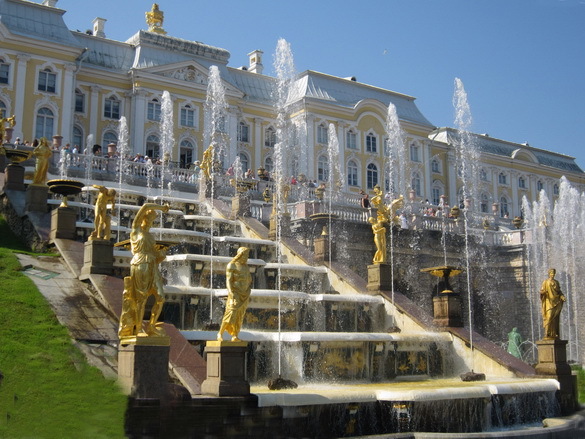 Some of the most dramatic scenes in GOLD TRAIN take place at the Menshikov Mansion. 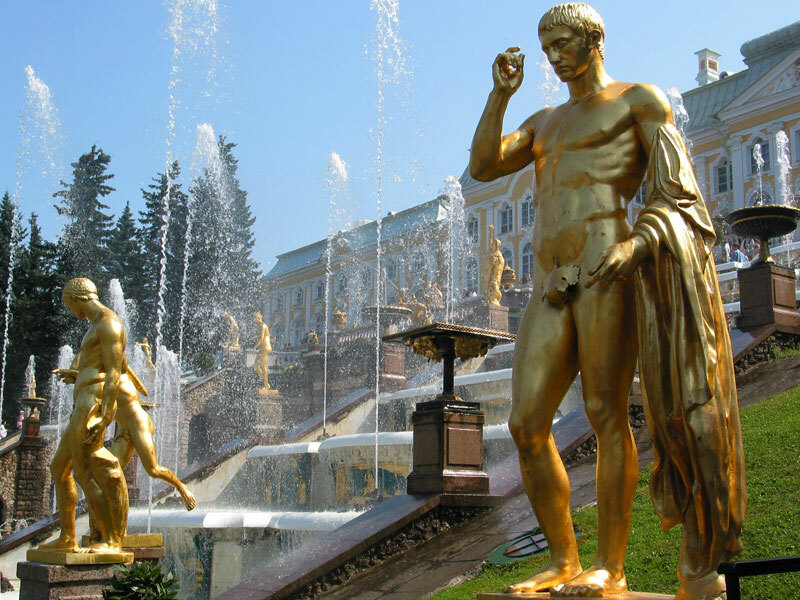 Prince Menshikov (Duke Menshikov in GOLD TRAIN) was a real historic figure. 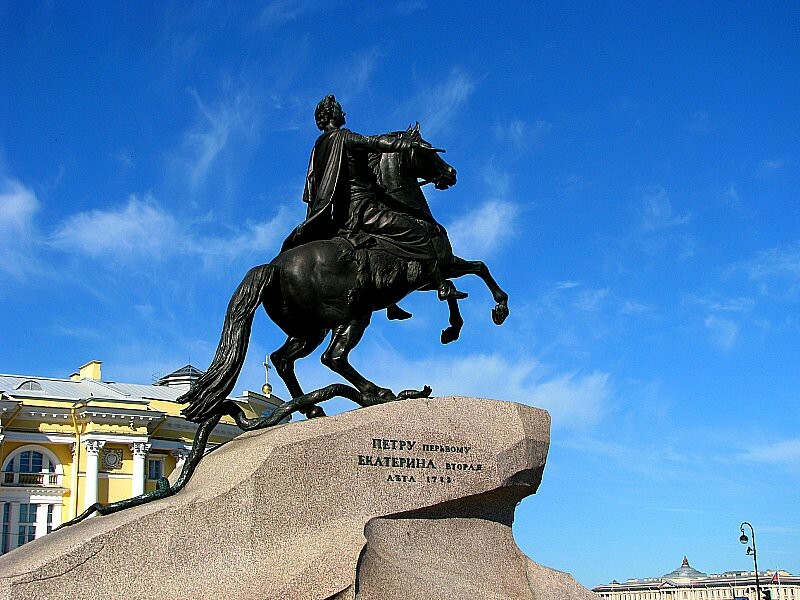 As Peter the Great’s first lieutenant, originally a commoner, the Prince rose to prominence during Peter’s reign. Peter relied on him for reform ideas, staunch support and execution of his grand plans to re-shape Russia for the modern age. 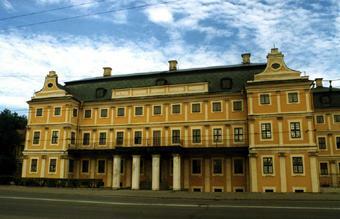 Of course, the real Menshikov Palace is now a museum and is owned by the state. 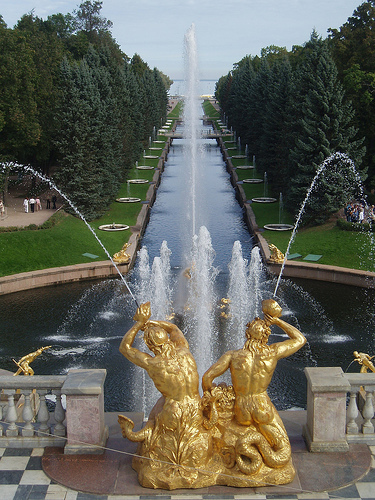 Below: Peterhof, Peter’s Summer residence and its magnificent gardens, complete with the system of gold singing fountains. 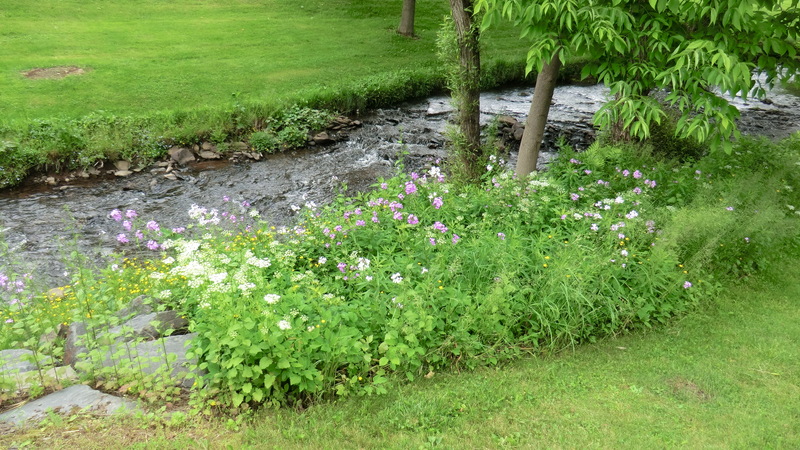 A UNESCO World Heritage Site and my personal favorite. 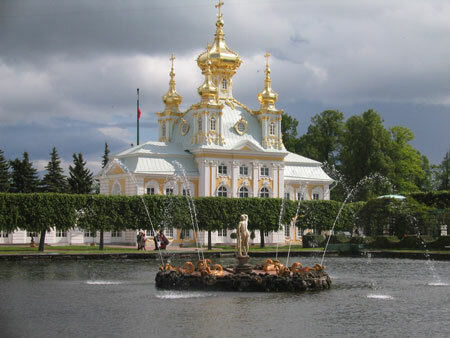 In GOLD TRAIN, Jade is supposed to visit the town of Pushkin near St. Petersburg, a UNESCO World Heritage site, famous for its connection to the Russian writer Pushkin as well as for the magnificent Catherine the Great’s Palace. 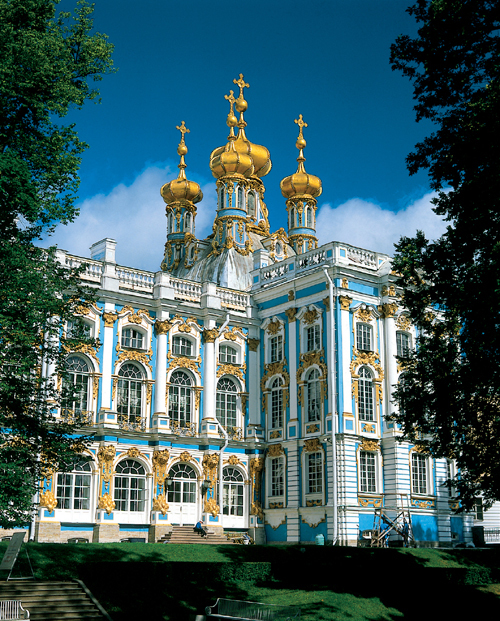 The Amber Room (Yantarnaya Komnata) at Catherine Palace – considered by some the “Eighth Wonder of the World.” The Amber Room had been carved from top to bottom out of precious Baltic amber and presented to Peter the Great by the Prussian king Friedrich, who went bankrupt to make it happen. 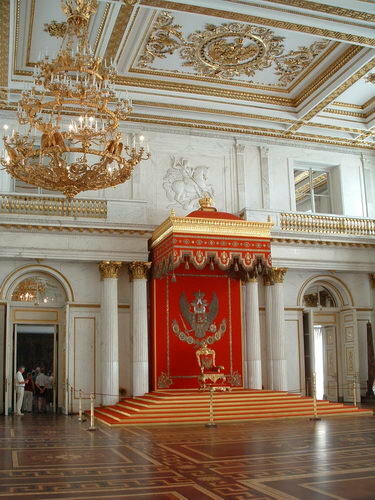 The room was later expanded and perfected by the Russian craftsmen. 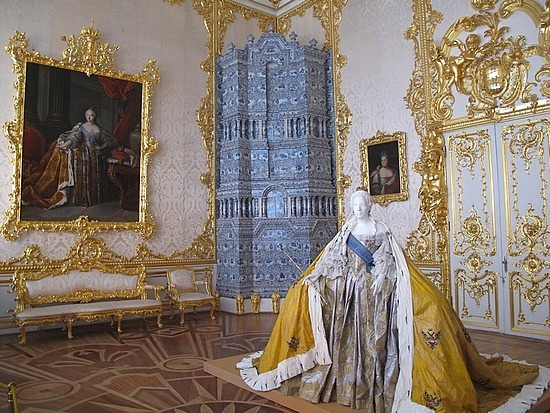 According to the historic accounts, Catherine could sit in the Amber Room for hours, meditating. 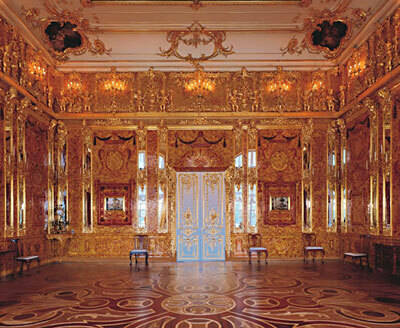 Those who’d been in the original Amber Room described the feeling as being entranced and transported to another dimension. Catherine would forget about everything, including pressing state affairs, when she was in that state. 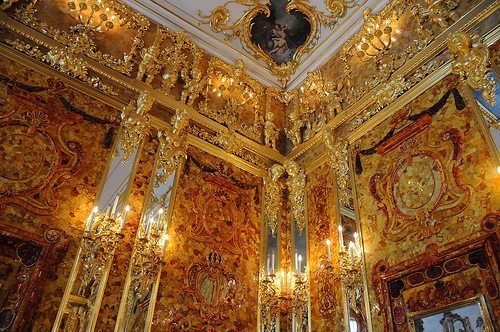 Unfortunately, the original Amber Room was stolen by the Nazi Germany during WWII. 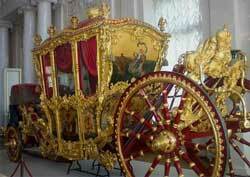 It was dismantled and taken to Prussia, where it had vanished without a trace. Its whereabouts are not known to this day. 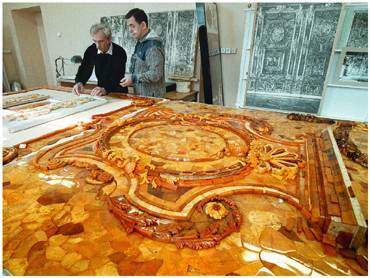 Starting in 1979, the new Amber Room had been painstakingly re-created from the origianl photos and drawings. 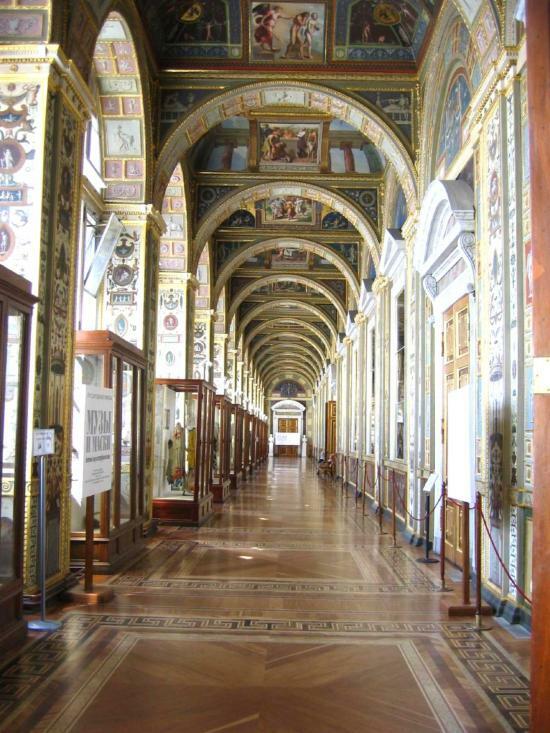 It took many years to complete the project and several years ago, the Amber Room reopened for the public. And now, back to the city center. 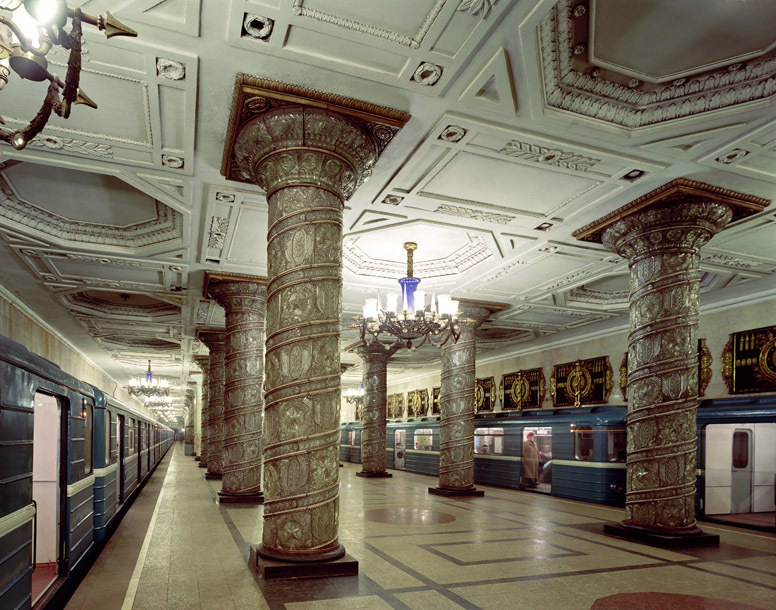 The grand St. Pete Metro stations, much like Moscow’s, resemble underground palaces. 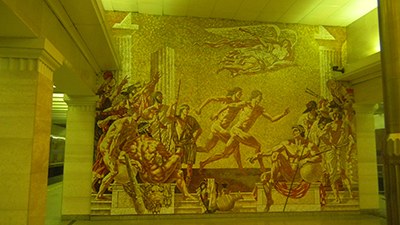 One of the most dramatic scenes in GOLD TRAIN takes place at the Sportivnaya Metro Station. 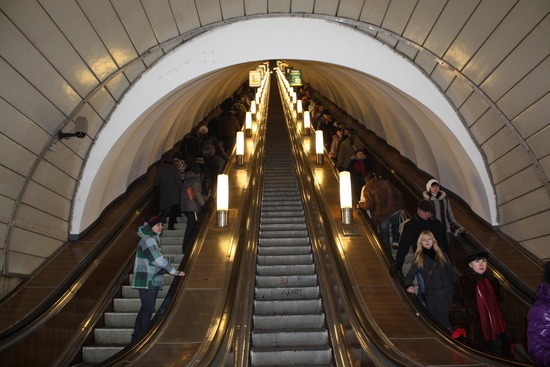 Below: The incredibly deep metro escalator, much like the one, Jade took in GOLD TRAIN. 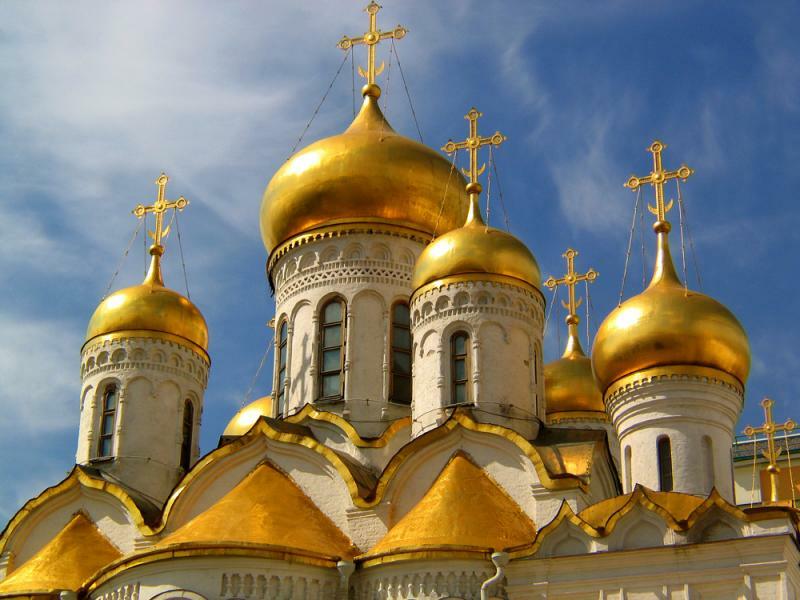 Above: The famous Church of Savior on Spilled Blood, featured on the GOLD TRAIN cover. 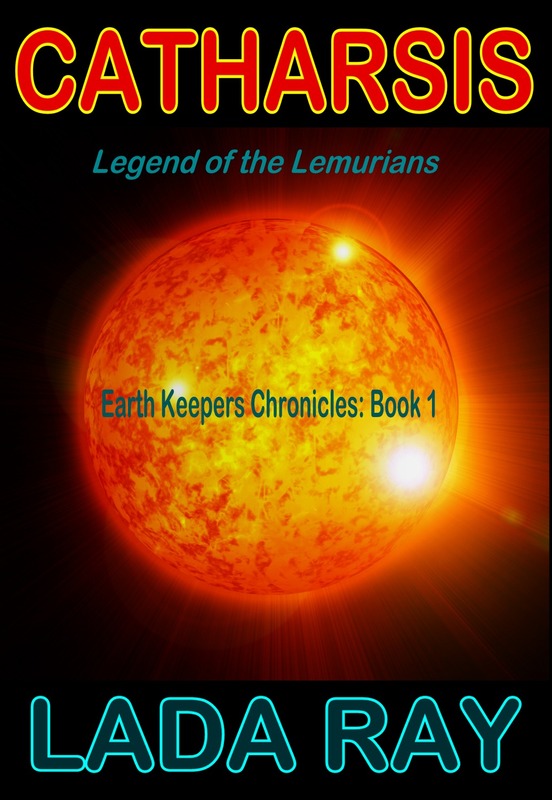 The name of this church is highly symbolic, as those who read the book would recognize. 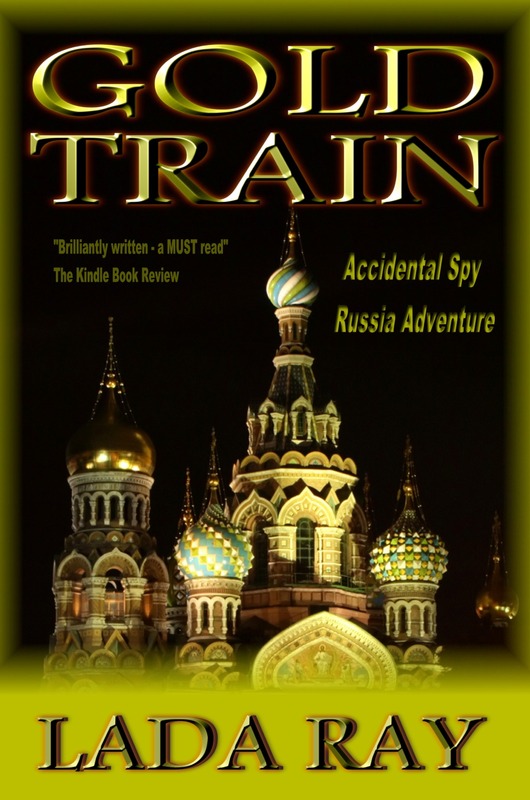 Buy GOLD TRAIN (Accidental Spy Russia Adventure) ebook & paperback! 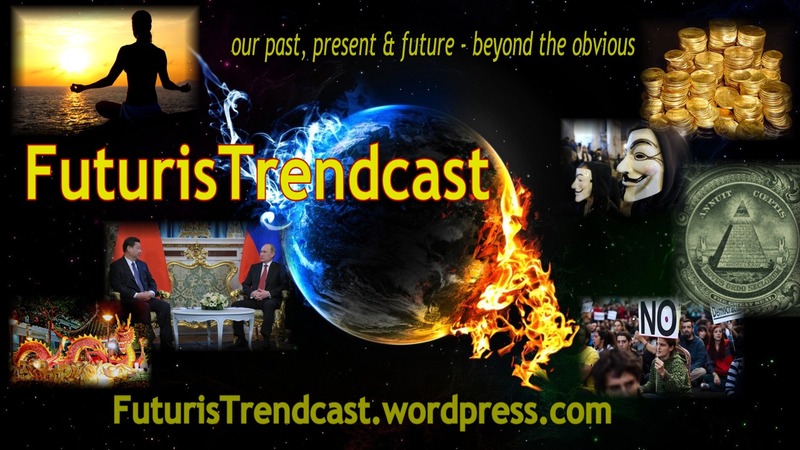 GOLD TRAIN: Who is this mysterious Alexei?